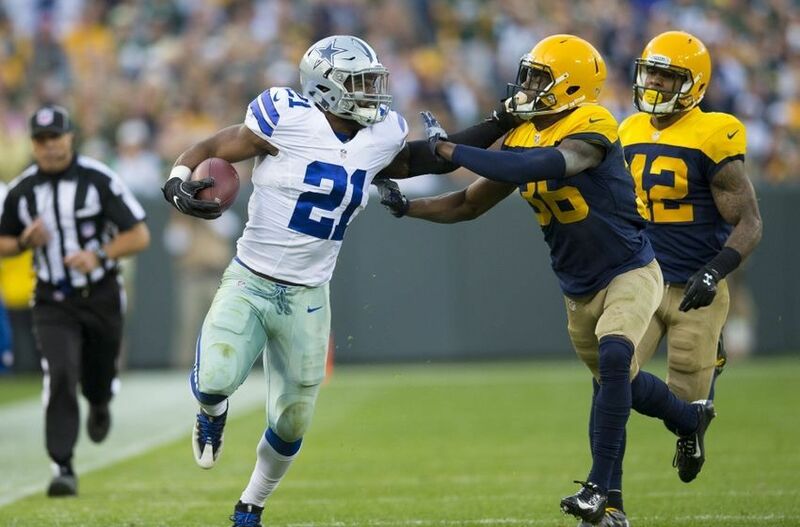 Cowboys-Packers Preview: Revenge Time For The Cowboys? The Dallas Cowboys appeared to be a team of destiny last year. They lost their superstar quarterback, a rookie fourth-round pick picked up the slack, they won 13 games, and looked primed to make a run at the Super Bowl for the first time in over a couple decades. But then they met Aaron Rodgers and the Green Bay Packers in the Divisional Round and the dream ended way too early. While a win on Sunday wouldn’t mean nearly as much, the Cowboys have to be thinking how nice it would be to exact a little revenge. But the question fans are asking themselves is if this Cowboys team can get the job done. Can they beat Aaron Rodgers and his Packers? The defense lost a pass rusher to injury this week, the secondary is suspect even when it is healthy, the offensive line maybe banged up, and there’s a chance Sean Lee may be sitting out this game as well (he was out last week). Yes, the Cowboys still have a very capable quarterback in Dak Prescott. He is joined in the backfield by one of the best young running backs in the NFL in Ezekiel Elliot. He’ll be throwing the ball to one of the best all-around receiver groups in the league. A couple of the offensive lineman are banged up, but according to the rumor mill, they should be playing this week. The Dallas defense really isn’t any better than the one the Packers faced last year in the playoffs. The offense is not as dominant personnel-wise and the play-calling has been questionable at times, but overall the offense is still pretty darn good (maybe a tad inconsistent). So—can they beat the Green Bay Packers? Doing so is never easy, but the Packers are not going to be at full strength. They will likely be without the services of Tim Montgomery while he recovers from a pair of broken ribs. That will leave Green Bay to lean on a pair of rookie running backs, Jamaal Williams and Aaron Jones. Williams is getting over a knee injury of his own, but Jones didn’t look too bad in what time he got against Chicago last week. Davante Adams has not cleared the concussion protocol yet making it highly unlikely he’ll play. But the Packers are deep at wide receiver and can afford to play without him. 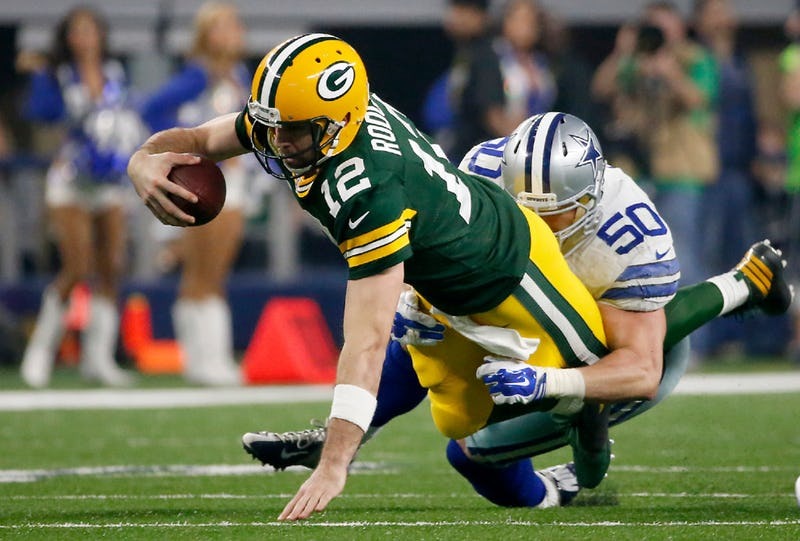 What could hurt Rodgers and the Packers is if the team’s starting tackles are out again. But, even though they are officially questionable, the rumor mill expects David Bakhtiari and Bryan Bulaga to play. Even at full strength, the Green Bay defense isn’t very good. So, if Green Bay is going to win, they will need to have their defensive starters back. It wouldn’t hurt if Dallas were to miss a couple guys on offense. The Packers can’t count on their offense to grind out the clock since they don’t have a run game. Dallas has to get the run game established. Once it is, the intermediate passing game will open up. At that point, the Cowboys will be able to march up and down the field at will. The problem, however, could be the offensive line if Tyron Smith and La’el Collins are both out. Oddsmakers have Dallas favored by 2.5 points. With no running game and a questionable defense, it is hard to imagine the Packers winning this one. Take the Cowboys; they’ll win by at least three.